They ran from relationships that made their lives miserable; mothers and children rescued from ties with Arabs gather together. Yad L'Achim recently held special weekend activities for women and children who were rescued from Arab villages. Some participants were long inured and others were released in recent years or months. Yad L'Achim Activities Coordinator Suri Kostelitz spoke about the special Shabbat that has become a tradition in the organization. "We created a framework of social activities to get to know Judaism in a more experiential and pleasant way. The Shabbat and events that we conduct throughout the year create a framework of home and family. It creates a bond and connection, to be in the company of girls who've undergone the same story they experienced." Dina, who was rescued from an Arab village many years ago, is accompanied by Yad L'Achim, and she makes sure not miss these Shabbat events. "I immigrated to Israel 15 years ago and met my daughter's father," she tells Arutz Sheva in her story: "Only later did I learn he was an Arab because I was a new immigrant didn't know to differentiate. I got pregnant and he locked me up in his village. One day my friend told me there was an organization called Yad L'Achim, and they could help me. I was afraid at first, but I approached them and from then until today, for ten years I'm with the organization and it helps me a lot." Amit, who was also rescued, tells how the relationship that made her life miserable for many years was created. "We worked together and he asked me to come and live with him in the village. For 18 years he didn't let me leave the village." "Yad L'Achim showed me how Jewish life is pleasant and good; that this is the right way," says another mother. "The joint events give me relief because I feel for the first time that I'm no different, in contrast to the attitude of outsiders who see me as different and unacceptable," says another mother. Suri Kostelitz adds that the encounter gives a lot of strength to these women. "They meet and always have the startled faces of those who come to our activities for the first time and say to themselves: 'What, were all these girls saved from relationships with Arabs?' They're sure that they're the only ones that happened to them and on the other hand it calms them and they feel relieved that the process is possible." Dina, who has been accompanied by the organization for more than a decade, calls on women who are still in the villages in a relationship they do not want not to hesitate. "They should turn to Yad L'Achim, and the organization won't hesitate and they'll rescue them, and they won't regret it for a moment." Yad L'Achim wishes to convey the message: Do you know someone who is in such a relationship and needs help and support? 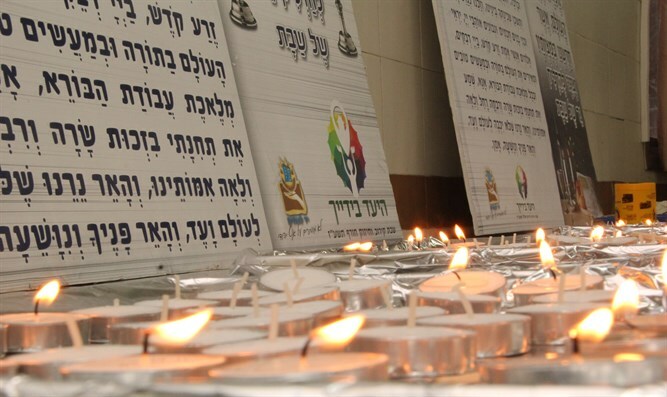 Call Yad L'Achim Emergency Center 24 hours, *9234.